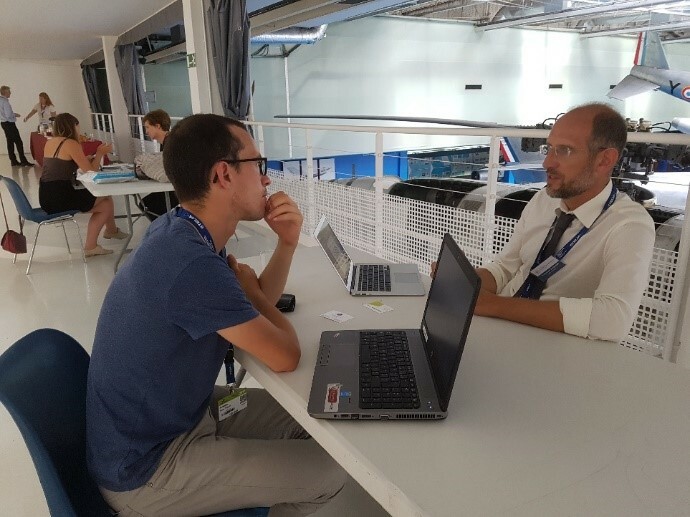 The latest European Cluster Collaboration Platform (ECCP) cluster matchmaking mission held during the Paris Le Bourget Aerospace Show (PAS) took place during one of the hottest days in Paris since 1872. 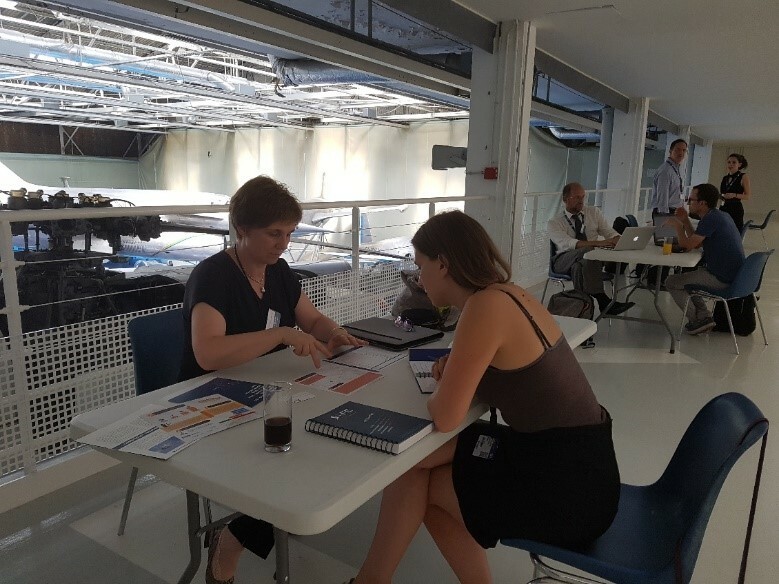 Notwithstanding these weather conditions 16 European clusters from 11 different countries, met with the objective to explore cross sectoral collaboration opportunities in the aerospace sector. The Paris le Bourget Airshow is the largest of its kind in Europe attracting participants from across the globe and the 2017 event saw deals of in excess of 150Bn€ being signed over the course of the week, thus highlighting the importance of the aerospace sector for Europe and the cluster community in general. Currently there are over 47 aerospace related clusters registered on the ECCP. 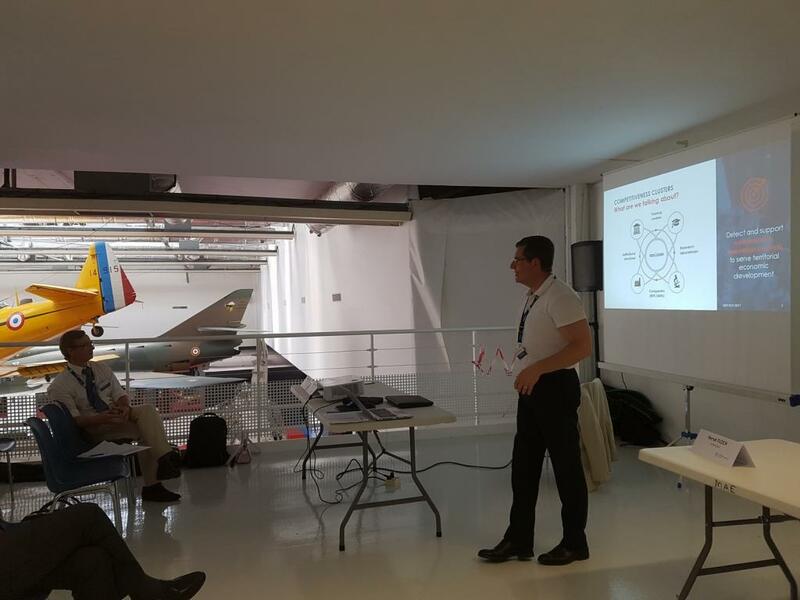 Day One of the Mission took place in the Musée de l’Air et l’Espace and commenced with a seminar and exchange of good practices regarding aerospace cross sectoral and cluster partnership experiences regarding internationalisation strategies. The first presentation by Anna Maassen, Coordinator of the European Aerospace Cluster Partnership (EACP) and member of the Hamburg Aviation cluster illustrated the role of EACP in supporting internationalisation in the aerospace sector which, thanks to its 42 members can provide cluster members access to global markets. 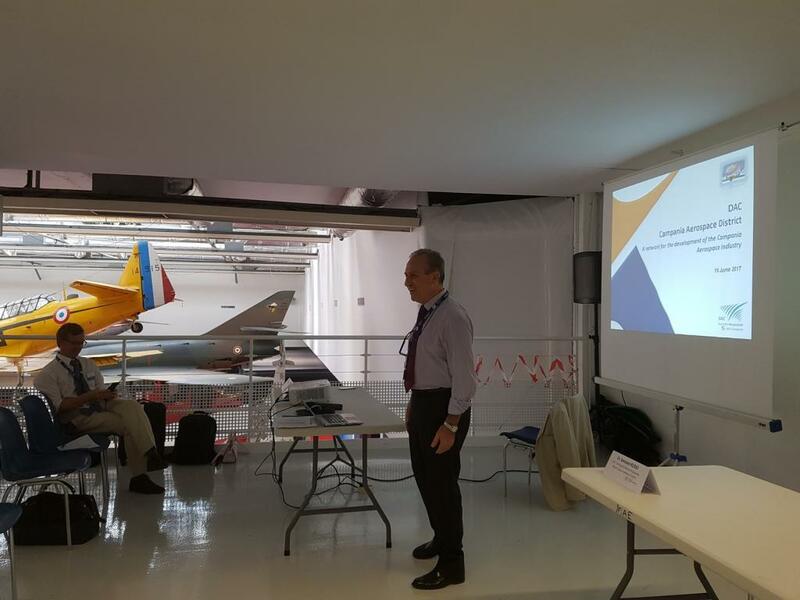 Dr. Gennaro Russo, senior expert from the Aerospace District of Campania Region Capua cluster (DAC), Italy, presented the characteristics of their cluster and notably the “horizontal sector working method” that allows them to interact with many other sectors. This means that they played an important role in defining the regional smart specialisation strategy. He also described the way the national aerospace cluster (CTNA) was helping to structure a shared sector roadmap. 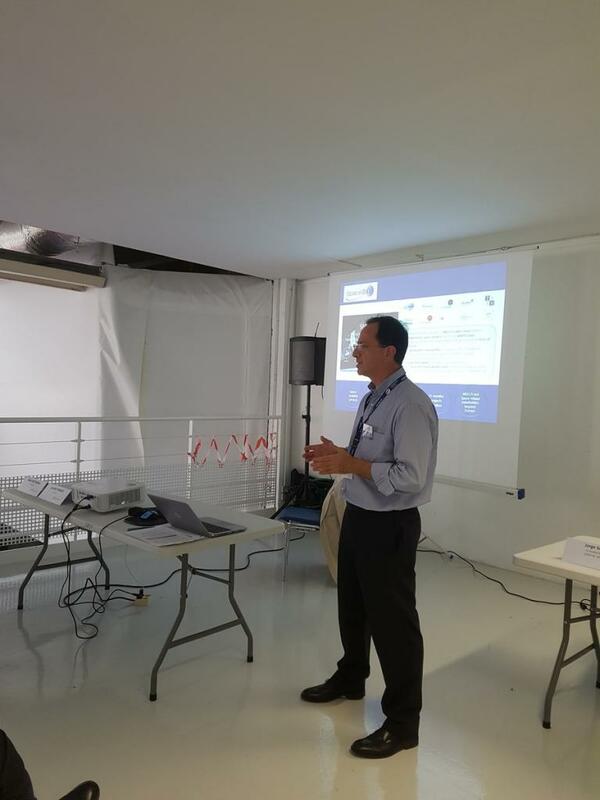 Meanwhile Jorge SANCHEZ, Co-founder, Chief Strategy & Financial Officer, gi-cluster cluster, Greece, presented their experience gained through their membership of the European Strategic Cluster Partnerships (ESCP-4i) – “SPACE2ID”. This Strand One project was particularly interesting for them as it allowed them to test market opportunities in several countries (35 countries reviewed and 15 studied in detail), something they could never have done alone. The project partners have also offered access to their respective international offices/network partners helping reduce costs and time to support SMEs. 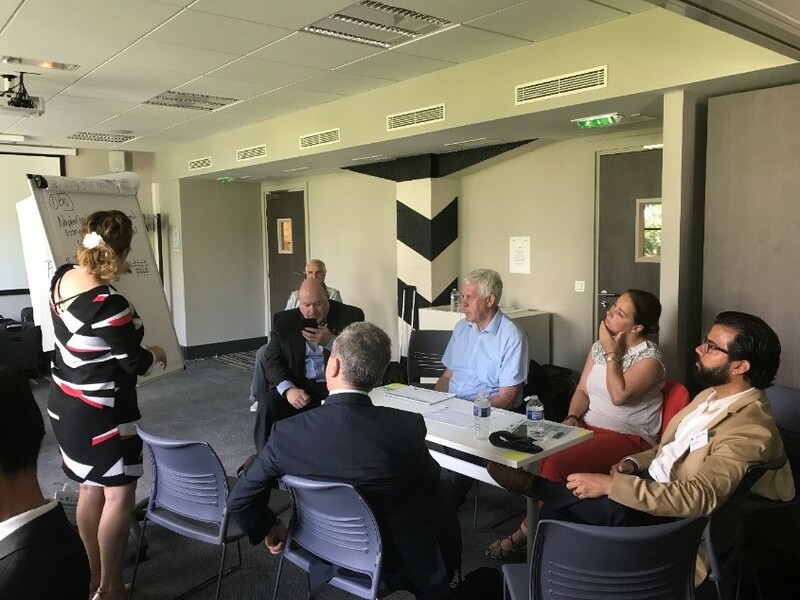 The cluster also described its strategy for developing strategic partnerships with other clusters, such as via staff secondment to the Aerospace Valley cluster in France to accelerate learning and business development skills. Hervé Floch, General Director of the ALPHA-RLH cluster (Route des Lasers & Des Hyperfréquences), located in the Bordeaux region and covering the Nouvelle Aquitaine region in France described his “technology cluster” as a cross sectoral cluster working in many industry sectors and offering enabling technology solutions for the health, automotive, energy and aerospace sectors and contributing to industrial modernisation trends. The cluster is currently developing a cross sectoral industrial and internationalization strategy with three other European clusters. During their presence at the PAS the cluster officially announced the signature of an MoU with French aerospace cluster Aerospace Valley aimed at helping ALPHA-RLH SMEs enhance collaboration with the major aerospace industrial partners. The morning session was closed by Christophe Guichard, European Commission Official at DG Internal Market, Industry, Entrepreneurship and SMEs (DG GROWTH) in charge of cluster internationalisation. He reminded participants of the importance attached to enhancing cross sectoral collaboration as a means of driving the creation of new value chains and helping clusters structure their internationalisation activities. He also confirmed that EASME would launch a Cluster Go International call for dual use technologies related to defence and security industries in the third quarter of this year. The call is expected to finance four cluster partnerships. During the rest of the day the cluster managers participated in some 30 bilateral matchmaking meetings. These included meetings between aerospace clusters but also a range of cross sectoral exchanges with cluster managers representing digital and software, laser and microwaves, smart textiles and security and defence sectors. Cluster managers were also able to initiate additional contacts by visiting the numerous stands present at the PAS including meetings with other clusters whom had not been able to attend the ECCP event. The Debriefing Session allowed participants to share their thoughts on the day and their cross sectoral experiences. One of the clear intersectoral trends witnessed by clusters who participated in the mission concerned the growing digitalisation of all aspects of the aerospace value chain, affecting both the production activities and RDI actions. Clusters also noted the difficulty to enter into the very strong and established aerospace value chains and saw greater opportunities for using aerospace technologies to develop new emerging niches, such as future mobility solutions such as “flying cars” or improved industrial performance and safety using laser technologies. Adapting space observation technologies for new and emerging uses linked to the Blue Growth sector (see INNOSUP Neptune) or sharing production technologies and know-how with the automotive sector are other areas of interest. Clusters also highlighted the time it takes to convert these initial meetings/contacts into concrete collaboration actions. But given time and trust building actions, it works! For instance, Corallia gi- Cluster from Greece highlighted the partnership process they have developed following the ECCP-Taiwan matchmaking mission. Clusters also saw value in pursuing the inter-cluster collaborations initiated to get a better understanding of the type of companies and technology offer present in the various cluster ecosystems. Furthermore, given the characteristics of the next EC Cluster Go International call this meeting has helped identify partners for “defence/dual use” projects. Finally, a number of the clusters highlighted the fact that without EC/ECCP funding they would not have been able to attend the PAS and notwithstanding the busy agendas faced by many during such major trade shows participants agreed that “they remain the best venues for such cluster matchmaking events” and facilitate qualitative face to face contacts and cluster community building actions. The Day One seminar power point presentations can be downloaded from the ECCP platform and the cluster profiles of all speakers are also available on the ECCP database. 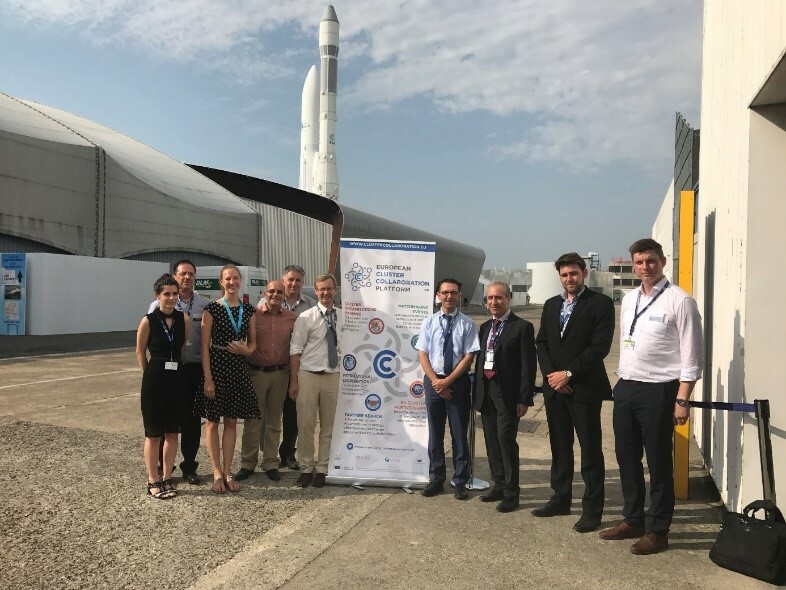 The organisation of Day Two was led by the ESCP-4i EACP ABROAD partnership supported by the European Cluster Aerospace Partnership. The 16 strong ECCP cluster delegation joined a meeting in which some 50 cluster representatives were present with a strong global flavour with participants from Brazil, Canada, Japan, Korea, Mexico and the USA. These included ECCP members Aéro Montreal. Additional ECCP members such as Skywin Belgium and Midlands Aviation Alliance also joined the meeting. 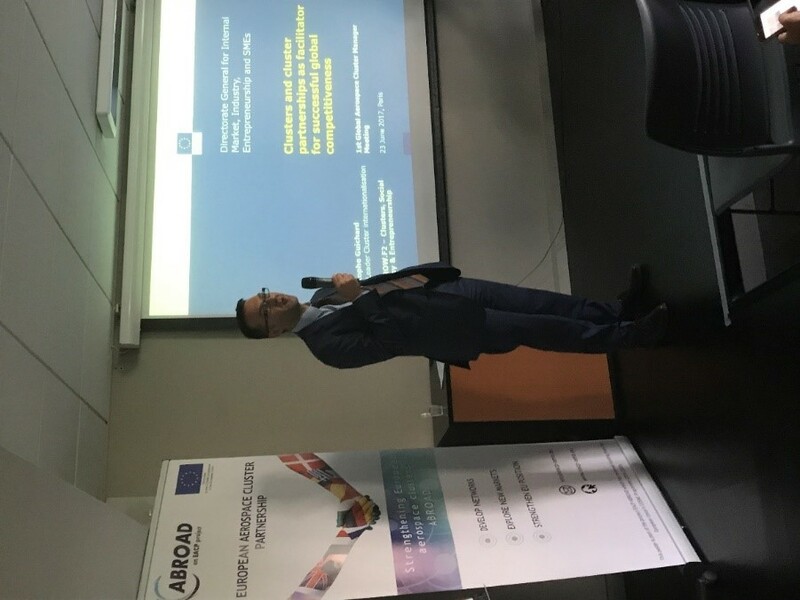 Thilo Schoenfeld from Aerospace Valley introduced the session with a presentation about the ESCP-4i ABROAD Partnership working with 11 other EACP partners all registered in the ECCP and shared their experiences in testing and developing internationalisation strategies with six non-European countries. A number of industry speakers shed light on the Aerospace Industry supply chain characteristics and Mark Walker of Airbus SAS, illustrated the evolution and internationalization of their supply chain network to reflect changing market/client patterns. Meanwhile Fassi Kafyeke from Bombardier Canada highlighted the close working relationship they have with the Aero Montreal cluster and the role they play via different cluster working groups including chairing the aerospace innovation group and participating in the Green aircraft demonstration project. Christophe Guichard, DG GROWTH in charge of cluster internationalisation, highlighted the continuing support the EC was providing for the creation of European Strategic Cluster Partnerships to help European clusters develop a joint internationsalisation and support SME members be more competitive in markets beyond Europe via clusters. He reminded attendees that to benefit from future EC funding calls, such as the forthcoming Cluster Go International call on dual use technologies that clusters must be registered on the ECCP. Meanwhile Marc Pattinson, ECCP Project Director highlighted the range of services offered by the platform and encouraged the international cluster community to register on the platform and create linkages with the rest of the cluster members. 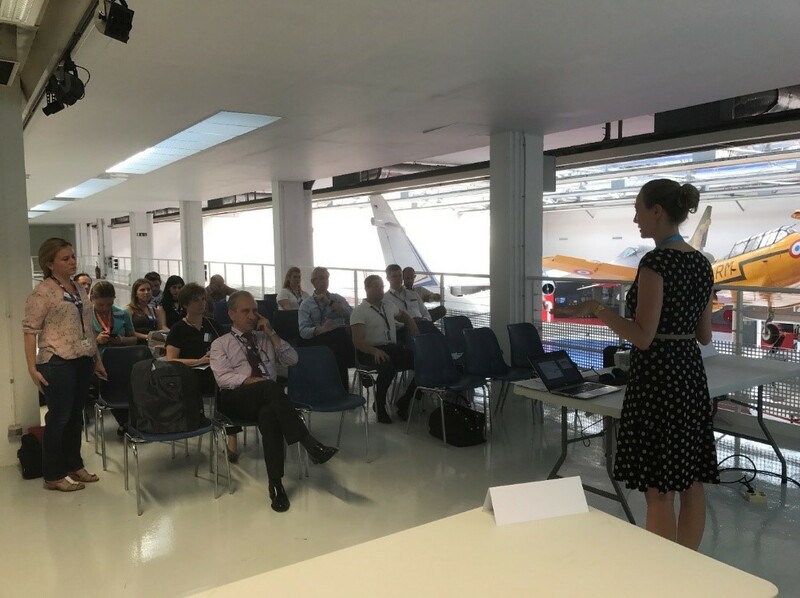 Anna Maassen, EACP Coordinator and part of Hamburg Aviation Cluster concluded the morning session by presenting examples of inter-clustering success stories and the role of global cluster networks in enhancing business cooperation. The meeting concluded with a range of workshop discussions co-chaired by EU and International clusters around the theme of international cooperation, including a review of the different strategies deployed by clusters to help their SMEs internationalise.